Despite anti-skimmer ATM Lobby access control system available in the market, we have seen a number of incidents in recent years where criminals used card skimmers at ATM doors. Few years back, cyber criminals started using card skimmers on the door of the ATM vestibule, where customers have to slide their credit or debit cards to gain access to the ATM. The typical ATM Skimming devices are used by fraudsters capture both magnetic stripe data contained on the back of a debit or credit card as well as the PIN number that is entered by the customer when using the ATM. In recent case discussed by Brian, cyber criminal installed the card skimming device on the ATM Lobby Card Access Control and a pinhole hidden camera pointed at the ATM's keyboard. 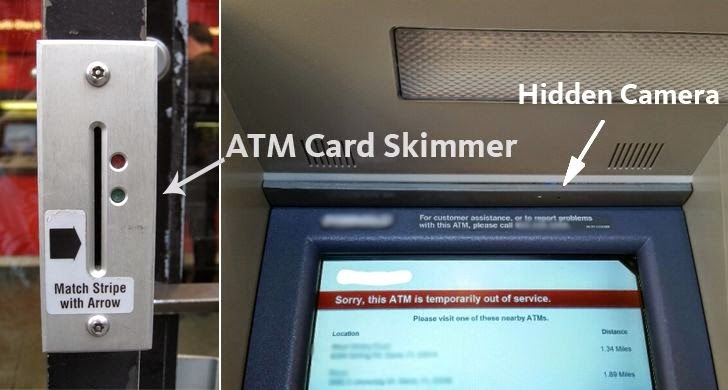 Basically, it's an ATM skimmer that requires no modification to the ATM. The card skimmer hidden on the ATM door records the debit and credit card information, and the pinhole camera records the PIN number the victim enters. Using this information, a thief can easily run you out of cash in a matter of minutes. The easiest way to protect yourself is simply to cover the keypad with your other hand when you enter your PIN or simply use a different card (any gift card or store card with a magnetic stripe) to open the lobby doors. Also, if keyboard of the ATM looks different, do not use that ATM. If you think your password or PIN has been compromised, change it immediately. Make sure to check your financial reports regularly and for any strange activity and in case of unusual patterns of transactions, inform your bank immediately. To ensure users secure transaction over ATM, a Canadian bank have come forward to adopt and launch the U.S.'s biggest cardless ATM network that allows its customers to withdraw cash within seconds without the need of any debit or credit cards, but only their smartphones. 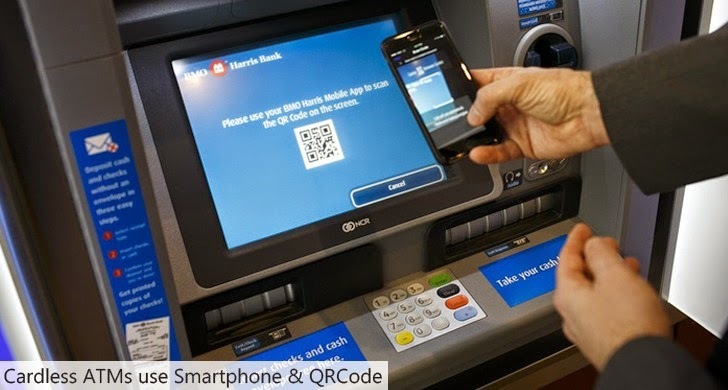 BMO Harris Bank says there is no need to enter PIN and instead of swiping the card, customers have to sign into mobile banking app "Mobile Cash", hold their smartphones over the QR code on the ATM screen and the cash gets delivered.